Internet of Things. Yet Another Gloomy Post. Technically, I work with Things, as in the Internet of Things. As outlined in Everything as a Service many formerly ‘dumb’ products – such as heating systems – become part of service offerings. A vital component of the new services is the technical connection of the Thing in your home to that Big Cloud. It seems every energy-related system has got its own Internet Gateway now: Our photovoltaic generator has one, our control unit has one, and the successor of our heat pump would have one, too. If vendors don’t bundle their offerings soon, we’ll end up with substantial electricity costs for powering a lot of separate gateways. Experts have warned since years that the Internet of Things (IoT) comes with security challenges. Many Things’ owners still keep default or blank passwords, but the most impressive threat is my opinion is not hacking individual systems: Easily hacked things can be hijacked to serve as zombie clients in a botnet and lauch a joint Distributed Denial of Service attack against a single target. Recently the blog of renowned security reporter Brian Krebs has been taken down, most likely as an act of revenge by DDoSers (Crime is now offered as a service as well.). The attack – a tsunami of more than 600 Gbps – was described as one of the largest the internet had seen so far. Hosting provider OVH was subject to a record-breaking Tbps attack – launched via captured … [cue: hacker movie cliché] … cameras and digital video recorders on the internet. I am about the millionth blogger ‘reporting’ on this, nothing new here. But the social media news about the DDoS attacks collided with another social media micro outrage in my mind – about seemingly unrelated IT news: HP had to deal with not-so-positive reporting about its latest printer firmware changes and related policies – when printers started to refuse to work with third-party cartridges. This seems to be a legal issue or has been presented as such, and I am not interested in that aspect here. What I find interesting is the clash of requirements: After the DDoS attacks many commentators said IoT vendors should be held accountable. They should be forced to update their stuff. On the other hand, end users should remain owners of the IT gadgets they have bought, so the vendor has no right to inflict any policies on them and restrict the usage of devices. I can relate to both arguments. One of my main motivations ‘in renewable energy’ or ‘in home automation’ is to make users powerful and knowledgable owners of their systems. On the other hand I have been ‘in security’ for a long time. And chasing firmware for IoT devices can be tough for end users. It is a challenge to walk the tightrope really gracefully here: A printer may be traditionally considered an item we own whereas the internet router provided by the telco is theirs. So we can tinker with the printer’s inner workings as much as we want but we must not touch the router and let the telco do their firmware updates. But old-school devices are given more ‘intelligence’ and need to be connected to the internet to provide additional services – like that printer that allows to print from your smartphone easily (Yes, but only if you register it at the printer manufacturer’s website before.). In addition, our home is not really our castle anymore. Our computers aren’t protected by the telco’s router / firmware all the time, but we work in different networks or in public places. All the Things we carry with us, someday smart wearable technology, will check in to different wireless and mobile networks – so their security bugs should better be fixed in time. If IoT vendors should be held accountable and update their gadgets, they have to be given the option to do so. But if the device’s host tinkers with it, firmware upgrades might stall. In order to protect themselves from legal persecution, vendors need to state in contracts that they are determined to push security updates and you cannot interfere with it. Security can never be enforced by technology only – for a device located at the end user’s premises. It is horrible scenario – and I am not sure if I refer to hacking or to proliferation of even more bureaucracy and over-regulation which should protect us from hacking but will add more hurdles for would-be start-ups that dare to sell hardware. Theoretically a vendor should be able to separate the security-relevant features from nice-to-have updates. For example, in a similar way, in smart meters the functions used for metering (subject to metering law) should be separated from ‘features’ – the latter being subject to remote updates while the former must not. Sources told me that this is not an easy thing to achieve, at least not as easy as presented in the meters’ marketing brochure. That iconic Linksys router – sold since more than 10 years (and a beloved test devices of mine). Still popular because you could use open source firmware. Something that new security policies might seek to prevent. If hardware security cannot be regulated, there might be more regulation of internet traffic. Internet Service Providers could be held accountable to remove compromised devices from their networks, for example after having noticed the end user several times. Or smaller ISPs might be cut off by upstream providers. Somewhere in the chain of service providers we will have to deal with more monitoring and regulation, and in one way or other the playful days of the earlier internet (romanticized with hindsight, maybe) are over. When I saw Krebs’ site going offline, I wondered what small business should do in general: His site is now DDoS-protected by Google’s Project Shield, a service offered to independent journalists and activists after his former pro-bono host could not deal with the load without affecting paying clients. So one of the Siren Servers I commented on critically so often came to rescue! A small provider will not be able to deal with such attacks. WordPress.com should be well-protected, I guess. I wonder if we will all end up hosting our websites at such major providers only, or ‘blog’ directly to Facebook, Google, or LinkedIn (now part of Microsoft) to be safe. I had advised against self-hosting WordPress myself: If you miss security updates you might jeopardize not only your website, but also others using the same shared web host. If you live on a platform like WordPress dot com or Google, you will complain from time to time about limited options or feature updates you don’t like – but you don’t have to care about security. I compare this to avoiding legal issues as an artisan selling hand-made items via Amazon or the like, in contrast to having to update your own shop’s business logic after every change in international tax law. I have no conclusion to offer. Whenever I read news these days – on technology, energy, IT, anything in between, The Future in general – I feel reminded of this tension: Between being an independent neutral netizen and being plugged in to an inescapable matrix, maybe beneficial but Borg-like nonetheless. Three years ago I found a research paper that proposed a combination of distributed computing and heating as a service: A cloud provider company like Google or Amazon would install computers in users’ homes – as black-boxes providing heat to the users and computing power to their cloud. In the meantime I have encountered announcements of startups very similar to this idea. So finally after we have been reading about the Internet of Things every day, buzz words associated with IT infrastructure enter the real world of hand-on infrastructure. Heating boxes will get smaller, more compact, and more aesthetically pleasing. They might rather be put in the hall rather than being tucked away in a room dedicated to technical gadgets. This is in line with a trend of smaller and smaller boiler rooms for larger and larger houses. Just like computers and routers went from ugly, clunky boxes to sleek design and rounded corners, heating boxes will more look like artistic stand-alone pillars. I remember a German startup which offered home batteries this beautiful a few years back – but they switched to another business model as they seem to have been too early. Vendors of heating systems will try to simplify their technical and organizational interfaces with contractors: As one vendor of heat pump systems told me they were working on a new way of exchanging parts all at once so that a technician certified in handling refrigerants will not be required. Anything that can go wrong on installation will go wrong no matter how detailed the checklist for the installer is – also inlet and outlet do get confused. A vendor’s vision is rather a self-contained box delivered to the client, including heating system(s), buffer storage tanks for heating water, and all required sensors, electrical wiring, and hydraulic connections between these systems – and there are solutions like that offered today. The vendor will have secured access to this system over the internet. They will be able to monitor continuously, detect errors early and automatically, and either fix them remotely or notify the customer. In addition, vendors will be able to optimize their designs by analyzing consolidated data gathered from a large number of clients’ systems. This will work exactly in the way vendors of inverters for photovoltaic systems deal with clients’ data already today: User get access to a cloud-based portal and show off their systems and data, and maybe enter a playful competition with other system owners – what might work for smart metering might work for related energy systems, too. The vendor will learn about systems’ performance data for different geographical regions and different usage patterns. District heating is already offered as a service today: The user is entitled to using hot water (or cold water in case a heat pump’s heat source is shared among different users). Users sometimes dislike the lack of control and the fact they cannot opt out – as district heating only works economically if a certain number of homes in a certain area is connected to the service. But in some pilot areas in Germany and Austria combined heat and power stations have already been offered as a service and a provider-operated black-box in the user’s home. The idea of having a third external party operating essential infrastructure now owned by an end-user may sound uncommon but we might get used to it when gasoline-powered cars in a user’s possession will be replaced by electrical vehicles and related services: like having a service contractor for a battery instead of owning it. We used to have our own computer with all our data on it, and we used to download our e-mail onto it, delete it from the server, and deal with local backups. Now all of that is stored on a server owned by somebody else and which we share with other users. The incentive is the ease of access to our data from various devices and the included backup service. I believe that all kinds of things and products as a service will be further incentivized by bundling traditionally separate products: I used to joke about the bank account bundled with electrical power, home insurance, and an internet plus phone flat rate – until the combined bank account and green power offering was shown on my online banking’s home screen. Bundling all these services will be attractive, and users might be willing to trade in their data for a much cheaper access to services – just as a non-sniffing smart phone is more expensive than its alternatives. I withhold judgement as I think there is a large grey and blurry area between allegedly evil platforms that own our lives and justified outsourcing to robust and transparent services that are easy to use also by the non tech-savvy. 2) Or a lucky few will carve out a small niche and produce or customize bespoke units for clients who value luxurious goods for the sake of uniqueness or who value human imperfection as a fancy extra. In other communication related to this post I called this platform effects Nassim Taleb’s Extremistan versus Mediocristan in action – the platform takes it all. Also ever growing regulation will help platforms rather than solo artisans as only large organizations can deal effectively with growing requirements re compliance – put forth both by government and by large clients or large suppliers. Your science-fiction-style new refrigerator might go online to download the latest offers or order more pizza after checking your calendar and noticing that you have to finish a nerdy project soon. It may depend on your geekiness or faith in things or their vendors, but I absolutely need to know more about the details of this traffic. How does the device authenticate to the external partner? Is the connection encrypted? Does the refrigerator company spy on me? Launch the secret camera and mic on the handle? In contrast to what the typical hacker movie might imply you cannot simply sniff traffic all on a network even if you have physical access to all the wiring. Communications protocols are designed to deal with devices talking to any other devices on the network any time – there are mechanisms to sort out collisions. When computers want to talk to each other the use (logical) IP addresses that need to get translated to physical device (MAC) addresses. Every node in the network can store the physical addresses of his peers in the local subnet. If it does not know the MAC address of the recipient of a message already it shouts out a broadcasting message to everybody and learns MAC addresses. But packets intended for one recipient are still visible to any other party! 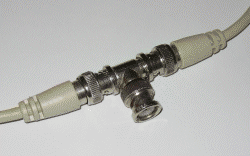 A hub does (did) basically the same thing as coaxial cables, only the wiring was different. My very first ‘office network’ more than 15 years ago was based on a small hub that I have unfortunately disposed. A switch minimizes traffic and collisions by memorizing the MAC addresses associated with different ports (‘jacks’). If a notebook wants to talk to the local server this packet is sent from the notebook to the switch who forwards it to that port the server is connected to. Another curious employee’s laptop could not see that traffic. This is fine from the perspective of avoiding collisions and performance but a bad thing if you absolutely want to know what’s going on. I could not resist using the clichéd example of the refrigerator but there are really more and more interesting devices that make outbound connections – or even effectively facilitate inbound ones – so that you can connect to your thing from the internet. Using a typical internet connection and router, a device on the internet cannot make an unsolicited inbound connection unless you open up respective ports on your router. Your internet provider may prevent this: Either you don’t have access to your router at all, or your router’s external internet address is still not a public one. In order to work around this nuisance, some devices may open a permanent outbound connection to a central ‘rendezvous server’. As soon as somebody wants to connect to the device behind your router, the server utilizes this existing connection – which is technically an outbound one, from the perspective of the device. Remote support tools such as Teamviewer use technologies like that to allow helping users behind firewalls. Internet routers doing that: DLink calls their respective series Cloud Routers (and stylish those things have become, haven’t they?). Is there a rather simple method a normal Windows user could use though – requiring only minimal investment and hacker skills? My proposed solution is to force the interesting traffic to go through your computer – that is turning this machine into a router. A router connects two distinct subnets; so the computer needs two network interfaces. Nearly every laptop has an ethernet RJ45 jack and wireless LAN – so these are our two NICs! … the WLAN adapter to connect to your existing home WLAN and then the internet. … the LAN jack to connect to a private network segment for your thing. The thing will access the internet through a cascade of two routers finally. Routing is done via a hardly used Windows feature experts will mock – but it does the job and is built-in: So-called Internet Connection Sharing. Software required: Some sniffer such as the free software Wireshark. In the Properties of the WLAN adapter click the Sharing tab and check the option Allow other network users to connect through this computer’s Internet connection. 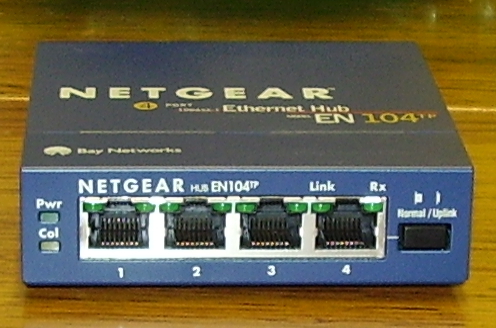 In the drop-down menu all other network adapters except to one to be shared should be visible – select the one representing the RJ45 jack, usually called Local Internet Connection. Connect the RJ45 jack of the chatty thing (usually tagged LAN) to the LAN jack of your laptop with the crossover cable. If it uses DHCP (most devices do), it will be assigned an IP address in the 192.168.137.x network. If it doesn’t i it needs a fixed IP address you should configure it for an address in this network with x other than 1. The router-computer will be assigned 192.168.137.1 and is the DHCP server, DNS server, and the default gateway. Now you see all the packets this device may send to the internet. The box gets an IP address via DHCP (only last packet shown – acknowledgement of the address), then tries to find the MAC address for the router-computer 192.168.137.1 – a Dell laptop – as it needs to consult the DNS service there and ask for the IP address corresponding to an update server whose name is obviously hard-coded. It receives a reply, and the – ‘fortunately’ non-encrypted – communication with the first internet-based address is initiated. The player sends an HTTP GET to the script liveupdate.jsp, appending the model, version number of location in the European Union. Since the player is behind two routers – that is NAT devices – Samsung now sees this coming from my Austrian IP address. The final reply is a page reading [NO UPDATE], and they sent me a cookie that is going to expire 3,5 years in the past 😉 So probably this does not work anymore. As I said – this was an innocuous example. I just wanted to demonstrate that you never know what will happen if you can’t resist connecting your things to your local computer network. You might argue that normal computers generate even more traffic trying to contact all kinds of update servers – but in contrast to reverse engineering a ,lockbox of a thing you 1) can just switch on the sniffer and see that traffic without any changes to be made to the network and 2) as an owner of your computers you could on principle control it. Peer-to-Peer Communication Across Network Address Translators – an overview of different technique to allow for communications of devices behind NAT devices such as firewalls or internet routers. Sniffing Tutorial part 1 – Intercepting Network Traffic: Overview on sniffing options: dumb hubs, port mirroring, network tap.